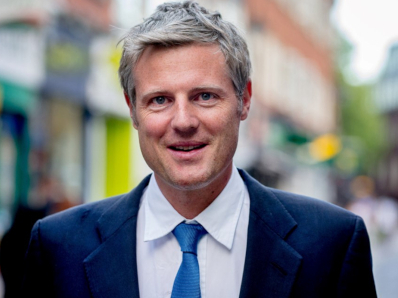 Zac Goldsmith began his career directing and editing the Ecologist Magazine, a role in which he attracted, in 2004, Mikhail Gorbachev’s Global Green Award for ‘International Environmental Leadership’. A year later, he was invited to oversee the Conservative Party’s Quality of Life Policy Group, responsible for rethinking issues ranging from transport and housing to food, farming and energy policy. From this emerged his book The Constant Economy . He was first elected MP for Richmond Park and North Kingston in 2010 and re-elected in 2015 and again in 2017. In 2016 he stood as the Conservative Party’s candidate in the London Mayoral election. He has been voted among the top MPs for engagement with his constituents, and has won a number of awards for his campaigns in Parliament. Outside of his work as an MP, Zac has been known to raise significant funds for a wide range of conservation and environmental campaigns.